On the occasion of the Milan Design Week, the city transforms its appearance by filling streets and squares of design works. In Piazza Duomo of Milan, a work of 500 square meters has been set up in front of Palazzo Reale, in which the four seasons are “enclosed”. This work gives visitors the opportunity to immerse themselves in nature and experience its changes through the seasons. If you are a tourist, in addition to visiting the preparations of the Fuorisalone 2018, do not miss the opportunity to visit the monuments and museums in Piazza Duomo. Thanks to MilanoCard you can visit the Highline Galleria for free and admire Piazza Duomo from above (click here for more information). 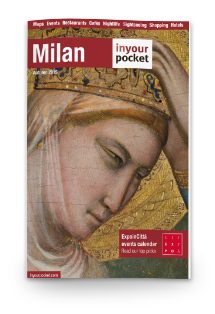 Thanks to Milan City Pass you can easily reach all the places where Milan Design Week takes place with the public transport in Milan, all included in the card. Click here and find out how. Moving in the Brera district you arrive in the heart of the Milan Design Week. Around 300 events will take place in the neighborhood. “Be Human: designing with empathy” is the theme of this district which translates into the presentation of works whose goal is to emotionally connect the object and the person. Here the Brera Design Apartment was set up, a special project conceived and created by the curator Raffaella Guidobono: Souvenir Milano. In Piazza XXV Aprile, there is the installation of Elena Salmistrato, Do not Call Me: the iconic tree of the Timberland logo becomes a feminine silhouette, with a beating heart that seduces the viewer and interacts with him. 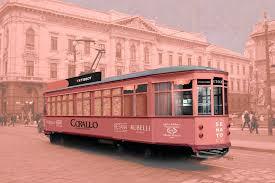 Corallo by Cristina Celestino, on the other hand, reinterprets the historical tram 1928 in a contemporary key, which transforms into a traveling lounge on the streets of the Brera Design District: a way to tackle the theme of travel and make the city of Milan known, between past and present, between retro details and new design formulas. 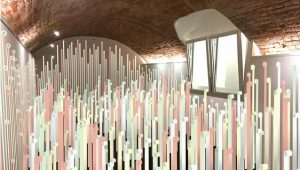 To discover all the events of the Fuorisalone 2018 click here.